Description:Lichfield Basket & Cane Works was opposite the Corona works (on the left) and just along from Rataud's ceramic transfer works (towards the camera on the right hand edge). The company advertised themselves a "contractors to H M Government". Next door is a branch of Bullock & Bosson, office supplies. 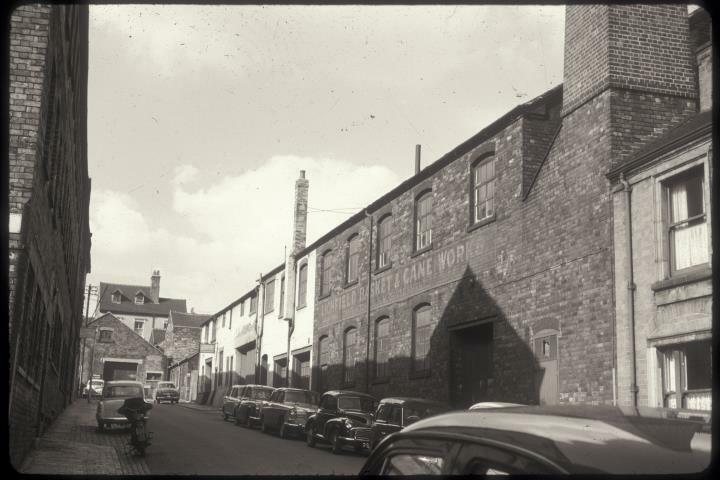 This part of Meigh Street is now beneath the A50 Potteries Way.